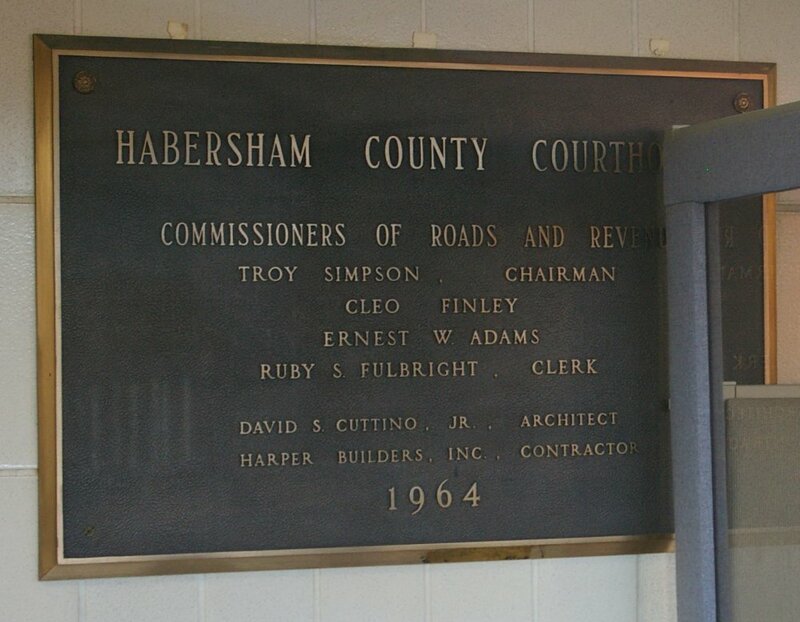 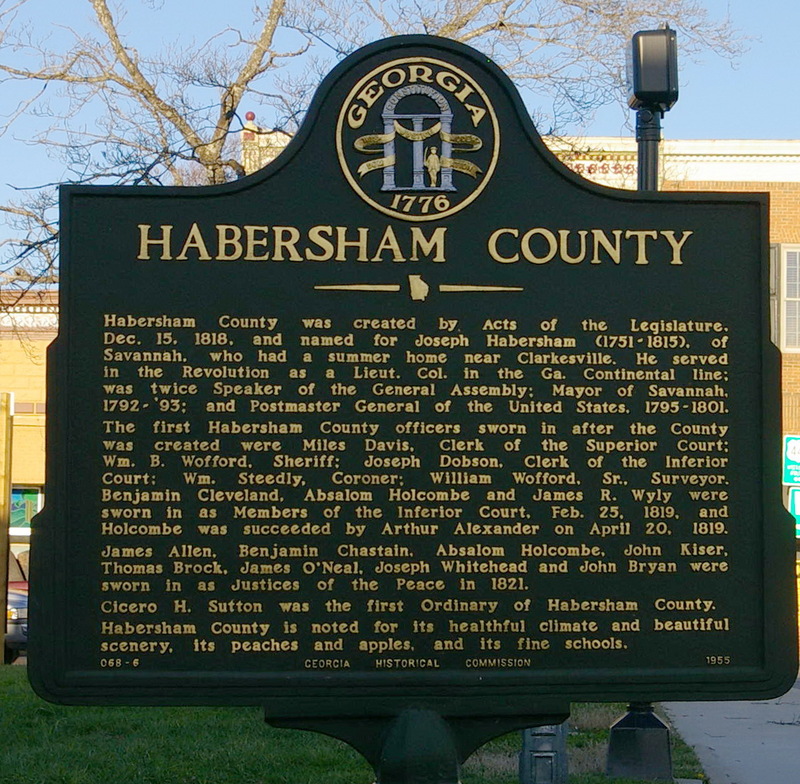 Habersham County is named for Joseph Habersham, who was a Continental Congress member, a soldier in the Continental Army and the Postmaster General of the United States. Description: The building faces southeast and is a three story buff colored brick, stone and concrete structure. The building sits on a side of a rise on landscaped grounds in the center of the city. 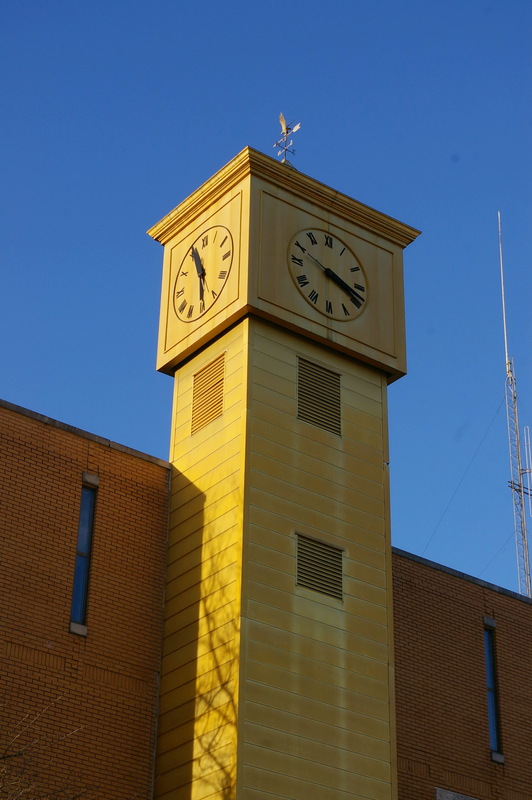 The southeast front has a large square yellow colored clock tower. 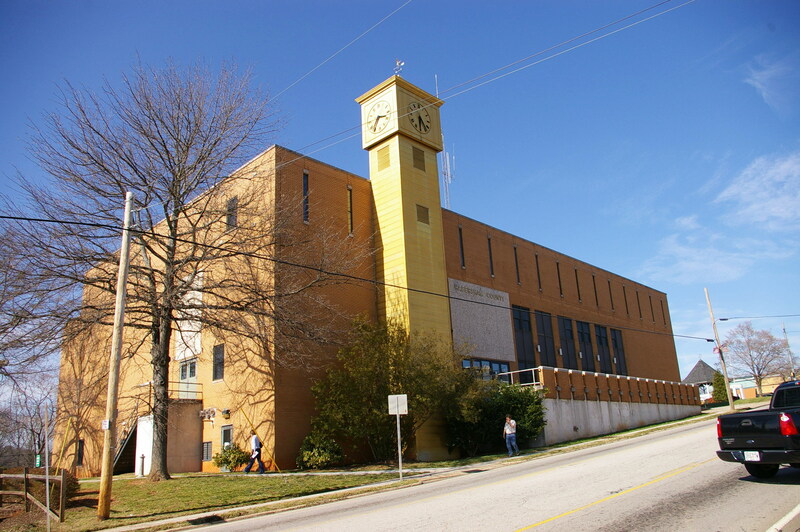 The second story has large dark glass windows and the third story has vertical narrow windows. 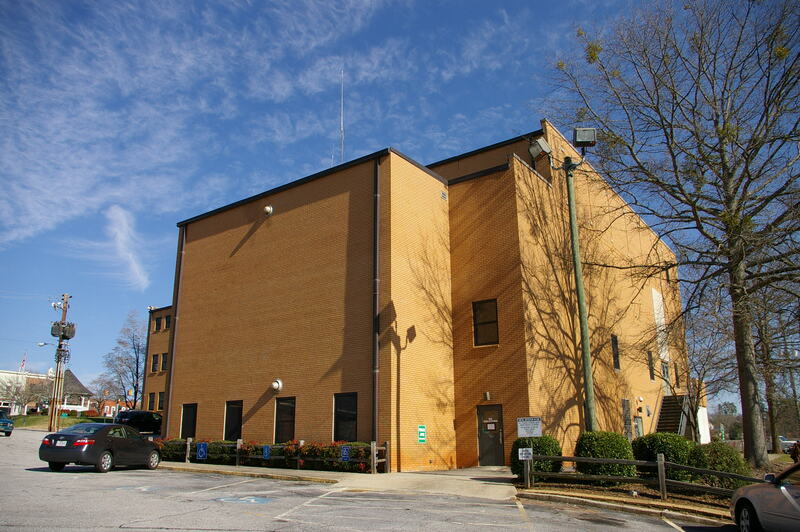 The building has a flat roof. 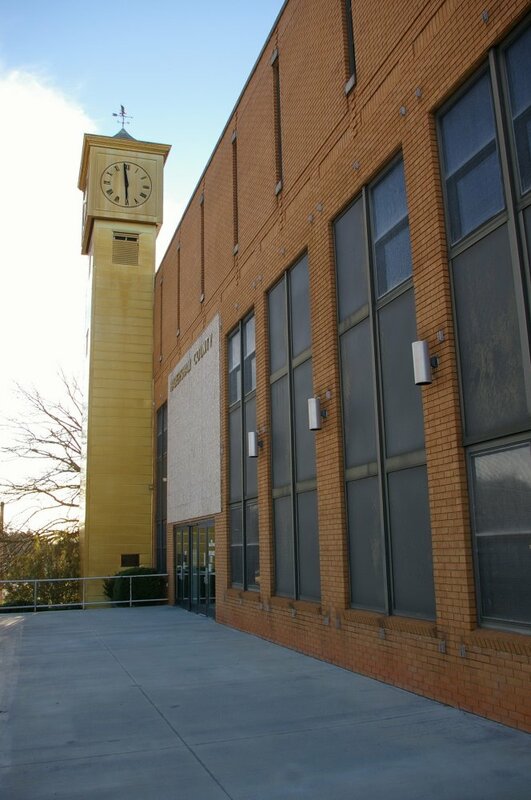 In 1983, the combination bell tower and elevator were added to the front of the building. 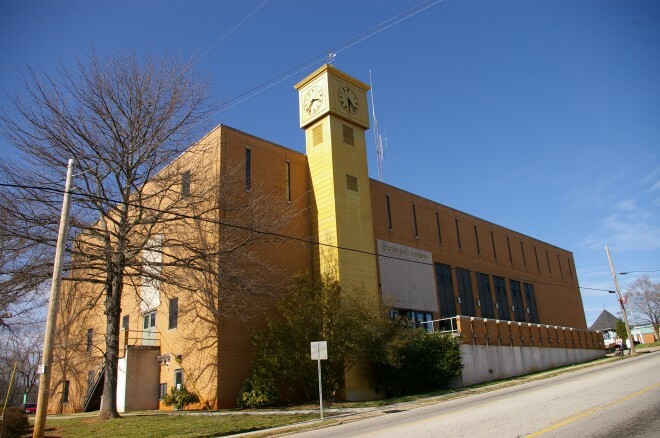 The building now houses the county administration. 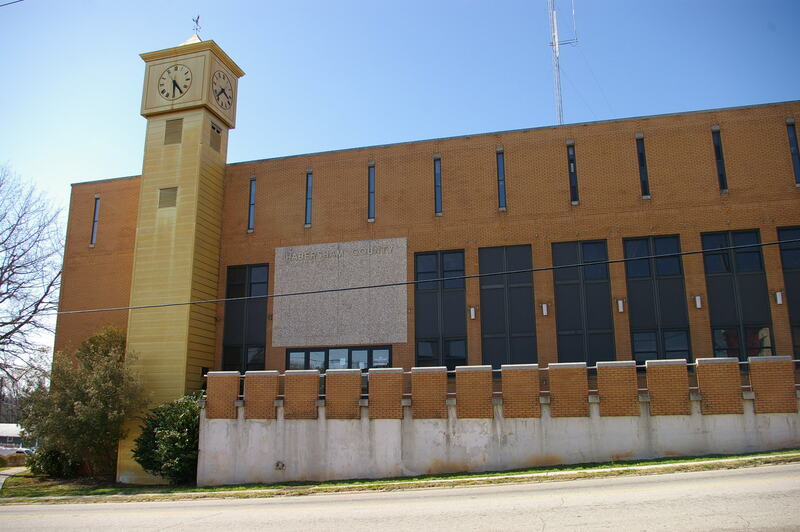 Description: The building faces north and is a four story steel frame, white colored brick and concrete structure. The building is located in the south part of the city on spacious landscaped grounds with a slope on the south side exposing the basement level. 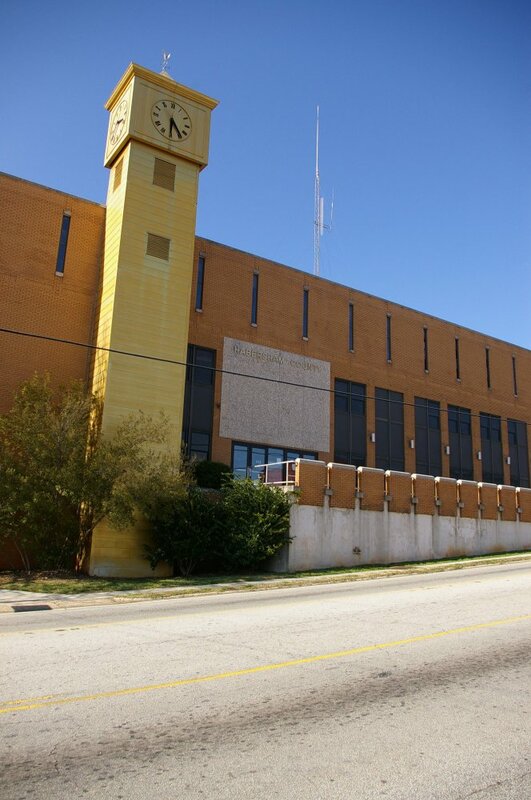 Note: The project manager was Ponds & Company and other contractors were Erudite Engineers, Inc of Canton and Reeves + Young.